This is one of 3 meetings, jointly organised by the Universities of Edinburgh, Glasgow, Leeds, and Loughborough on Classical and Quantum Integrability ( CQI ). 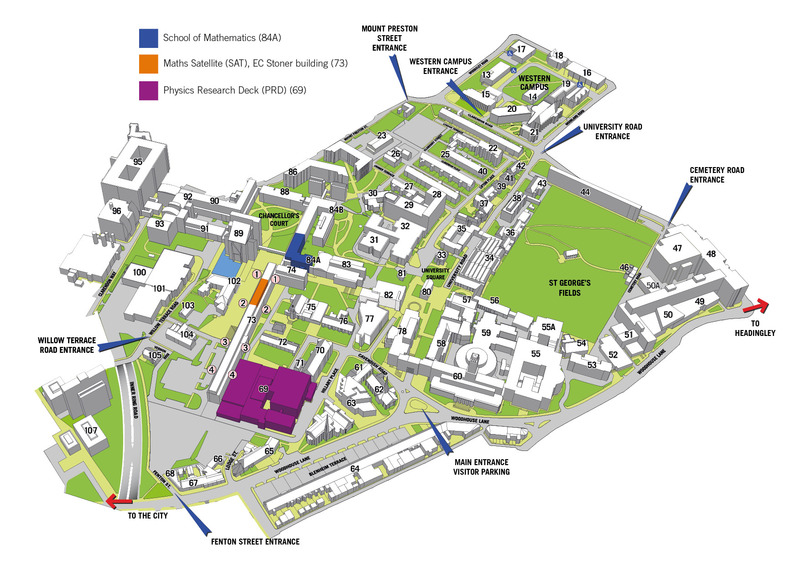 Lectures will take place in MALL 1, School of Mathematics. Contact Vincent Caudrelier (email: v.caudrelier@leeds.ac.uk ), Oleg Chalykh (email: o.chalykh@leeds.ac.uk ) or Allan Fordy (email: a.p.fordy@leeds.ac.uk ) for further details, hotel bookings, etc. List of Meetings in CQI Series. General information about Leeds University.